Domus on the Boulevard is ideally located less than one mile from San Antonio Caltrain Station, for easy access to all of Mountain View, Palo Alto, San Jose, San Francisco, and the greater Silicon Valley area. But it’s not just fun for you, even your pet can get in on the good life at Domus. We are perfectly situated near a variety of parks and pet-supply stores so you and your four-legged best friend can enjoy the very best of the area just moments from your front door. 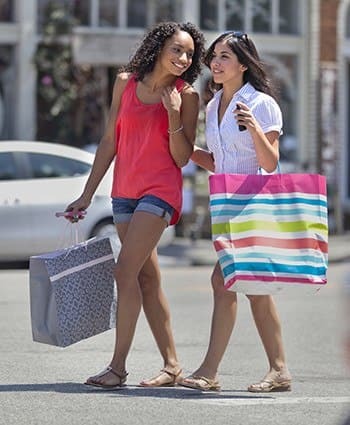 You’ll find favorites for everything from groceries, home goods, clothing, and more all in one place at the San Antonio Shopping Center. Get whatever you need from your favorite retailers, such as Kohl’s, Carter’s, Trader Joe’s, and more. It’s your one stop shop for all your daily needs, conveniently located right here in Mountain View, CA. And when it’s time to unwind, treat yourself to perfectly curated cocktails and essential eats at any one of the neighborhood's best eateries. Want to know more? We hope to hear from you. Contact our leasing office today.